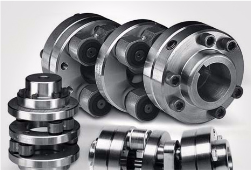 The capital goods industry is a major consumer of sintered components. Since the profitability of buying sintered parts increases with the annual output, it is easy to understand that the largest consumers are the automotive, electrical appliances and handtool industries and other high-volume industrial segments. As a reference, in Europe each car uses about 12 kg of sintered parts. If an average part weighs 20 grams, this means that each car contains about 600 sintered components, some of which are considered Critical or Safety components. A wide range of iron-based materials, shapes, finishes, treatments and coatings can be used to obtain parts with high accuracy and performance. Their mechanical properties are comparable to those of wrought structural steels or alloy cast iron, with tensile strength greater than 1250 MPa being achievable. 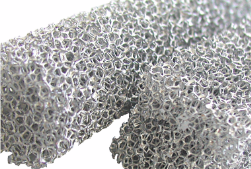 Sintering is used to make a great number of mechanical and hydraulic structural components. The ability of powder metallurgy to manufacture toothed parts directly from-tool without machining makes it suitable for the manufacture of gears with different shapes, materials, treatments and features. 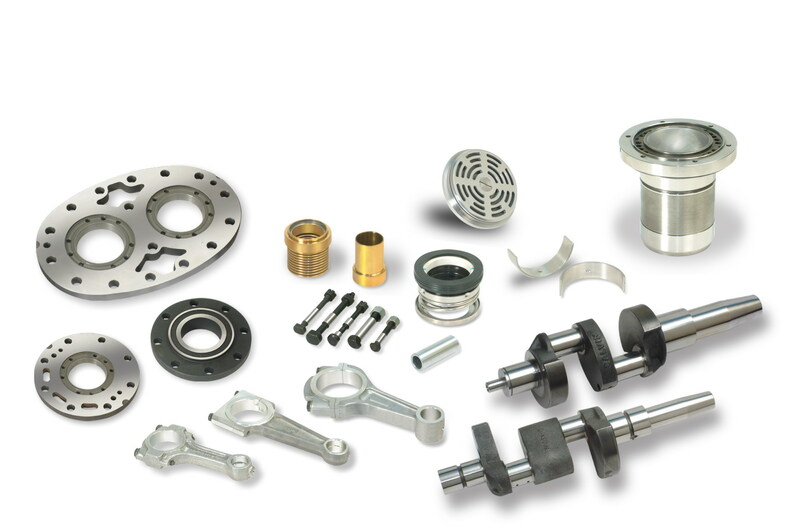 The main market for sintered components is the automotive industry, which uses powder metallurgy to make an extremely diverse range of structural parts for engines (rods, pulleys, cams and bearing caps), transmissions (parts for synchronizing systems, fingers, etc. ), clutches, transfer cases, starters, brakes, steering columns and racks, shock absorbers, comfort and safety systems (rear-view mirrors, sunroofs, HVAC, etc.) and pumps (oil, fuel, water, power steering, selective catalytic reduction [SCR], variable valve timing [VVT], continuously variable transmission [CVT], etc.). Other typical markets of sintered components are hand tools, household appliances, industrial pumps, home fittings, industrial machinery and weapons. 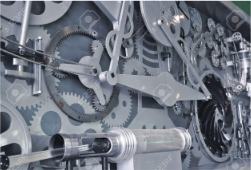 Gear, sprockets, pulleys, forks, sensors. Levers, forks, fingers, gears, plates, stators and rotors for CVT systems, synchronizing hubs. Rotors, stators, pulleys, coupling and spacers. Rotors, plates, couplings and shoes of servo brake pump, racks, regulation gears, ABS sensors, or hubs. Rotors, plates, stators, G-rotors, counterweight. Several components for the seat regulation, air conditioning, safety locks, doors, mirrors, cameras, safety belts, airbags, fans, etc. Valves, pistons, guides and spacers. 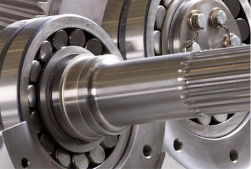 The AMES Supercoining® process allows to improve the preload precision of pistons and end cylinders. Counterweights, plates, pistons and rods. Awnings, shutters, doors, windows, sundry appliances, taps, lawn mowers, locksmiths, maintenance items, industrial machinery, agricultural machinery, medicine, trains, arms, etc..